Due to the capability of IEEE 802.3af standard, the POE-151 can directly connect with any IEEE 802.3af end-nodes like wireless access point, IP phones and Internet camera which support IEEE 802.3af In-line Power over Ethernet port. 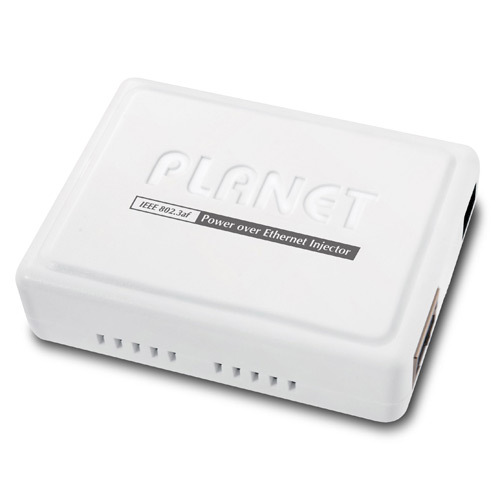 For a place hard to find the power inlet, the POE-151 and POE-151S-5V/9V/12V, as a pair, should provide the easiest way to power your Ethernet devices such as PLANET ICA-110, Internet camera on the ceiling, or WAP-4000, wireless access point that is installed on the top of the building. It’s the same with the VIP-153PT, IP phone used in office or home. 2010-04-30 2.1 Initial release for adding energy note.